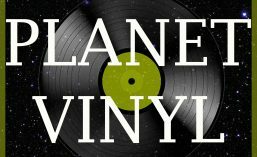 Planet Vinyl welcomes and loves the obscure, the forgotten, the eccentric and the strange. But we do not discriminate. The best-selling female recording artist of all time? She too is welcome here. I speak of Madonna Louise Ciccone, born in the United States in 1958. By the time I was a teenager in the 1980s she was a global icon. Most people didn’t know she had a surname, nor was one necessary. She was loved and imitated from New York to New Deli, via Berlin and San Salvador. I was not a huge fan, but I always respected her endless capacity for innovation and reinvention. She was not the strongest singer going around. Her image was key, yet she was not especially good looking in conventional terms. But she was brave, and smart. She ransacked the music and iconography of the past, mixed it up with synth and production and dance and made it something new and exciting. It didn’t always work for me, but it sure worked for a lot of others. This disc is one of the 300 million-odd records she sold over the years. “La Isla Bonita” is, no getting around it, lyrically lightweight, a montage of vaguely Latin, vaguely Caribbean clichés, not all of which make sense. There is reference to “A young girl with eyes like the desert”. Does this mean “huge and mostly empty”? Or perhaps, “full of sand”? Later we learn that “when the samba played, the sun would set so high.” The sun can set in a range of well-worn ways, but high? Oh, who cares? On Planet Vinyl there is a space for silly pop songs, and this is one of them, and if you just don’t listen too closely to the words it is a bright, gorgeous dance number.